Sashiko is the traditional Japanese technique of needlework quilting originally practised by Japanese farmers and fishermen many centuries ago. As cloth and thread were in short supply, they used a running-stitch technique to mend torn or worn clothing. 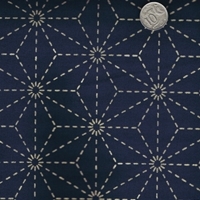 Sashiko (lit. 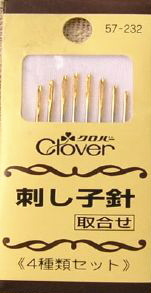 stab-stitch) refers to the small running stitch that is worked to build up distinctive patterns ideal for patchwork. 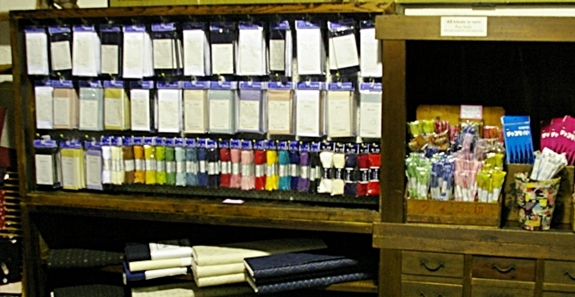 We sell stencilled fabric, thread, needles, thimbles, chako paper and fabric pencils.